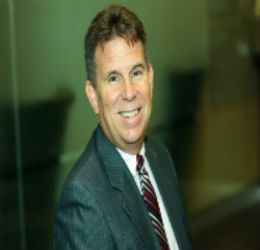 Dave Telka is a Managing Director in Accenture’s Health & Public Service Practice. He leads Accenture Digital across all levels of government within Canada. Dave is a committed and passionate leader, focused on working with public service clients on their digital transformation. Dave is known for bringing perspectives and solutions to a wide array of public sector clients on the intersection of technology, data and insights, and digital services to enhance outcomes for both citizens and employees. Dave strongly believes that continuous transformational change is required for evolving organizational effectiveness, as witnessed by the success of organizations that learn to adopt and leverage next-generation digital solutions. Over his 22-year career with Accenture, Dave has consulted extensively across both private and public industries, helping Accenture’s clients with their most complex transformational initiatives, technology adoption, digital solutions and workforce strategies. 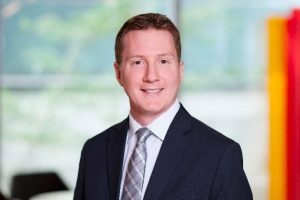 Dave leverages his Bachelor of Science in Psychology from Carleton to apply the core concepts of human-centred design in the innovation and creation of services and solutions for some of Accenture’s largest clients in Canada. Dave is also active across a number of community organizations such as the United Way, Military Family Services and the Toronto Region Board of Trade. Paul Crowe is at the forefront of helping organizations embrace the constant evolution of consumer expectations, technology, and design. He thrives on enabling his clients to quickly adapt to the changing landscape, embrace the risk involved with the process, and prosper from the business and cultural benefits that are delivered – ultimately creating an organizational competitive advantage. Paul is the currently the CEO of Intersect, an organization that has built its award winning business by helping Fortune 500 companies think and act like startups – an offering that complements the company’s work facilitating the growth and success of startups at their Toronto site. Intersect (formerly known as bnotions) was acquired in 2015 by Symbility Solutions and with the acquisition Paul also assumed the role of CMO of global marketing operations – bringing his test & learn and agile mindset to marketing and business development of the company. His marketing team is operating in a way that is anything but business as usual and unique for B2B organizations. Prior to his role as CEO at Symbility Intersect and CMO at Symbility Solutions, Paul spent over a decade in roles extending across digital marketing, digital advertising, digital/mobile strategy, and the oversight of product management, product design, and engineering teams that have delivered projects for the likes of Facebook, Zynga, Walmart, Loyalty One, TD Bank, CIBC, Stubhub, Bittorrent, 500px, Liberty Mutual, Johnson & Johnson, Janssen Pharmaceuticals, Standard Innovation, Morneau Shepell, Mastercard, American Express, the LCBO, Express Scripts, Samsung, RBC, and eBay Inc. among many others. Paul and his various businesses have received numerous awards and recognition from the likes of Profit Magazine, E&Y, Toronto Region Board of Trade, Facebook, and many more. The awards presented to Paul include but are not limited to Toronto Region Board of Trade Employer of the Year, Facebook Global Innovation Award, Profit Fast 50, and the BDO Business Value Award. Paul has spoken at conferences across North America, the UK, and his home country of Canada. There’s little Paul loves more than sharing his passion for turning what could be perceived as risk into an opportunity that can flourish into something remarkable; for showcasing how organizations can fully embrace change so that they can move faster and build smarter. An accomplished business, relationship and marketing communications executive, Karen has extensive experience in public and private sectors holding senior positions at Bell, Rogers and CGI. She is a proven leader with a passion for customer excellence and leverages her strong technical and business background to create, lead and integrate high performing multi-disciplinary teams for critical engagements. Karen has been an active member of ITAC for over 10 years and participates with the Ontario Chamber of Commerce and Toronto Board of Trade. John Breakey is a serial entrepreneur in the Information Technology industry. John founded UNIS LUMIN Inc., a systems integration company that grew to 5 offices across Canada and $75m in revenue before he sold the company in 2011. In 2002 John founded Genuit, a software company that developed PROMYS, the first comprehensive PSA+ software package to be based 100% on web technology. The product is sold internationally. In 2012 John founded Fivel Systems Corporation, an online learning company, that specializes in the effective adoption of technology we use everyday. Today, John oversees the growth of his companies, invests in emerging companies and serves as an advisor and consultant to growth companies. John is a regular speaker at industry trade shows and webinars, and frequently contributes topical articles for publication in trade journals. John became a member of the Information Technology Association of Canada in 1998. 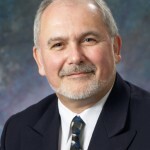 He was initially elected to the Board of ITAC Ontario in 2003. In 2005 John was elected a Chair of ITAC Ontario, serving 2 years in that position. During his tenure as Chair, he assisted in ITAC’s integration of its Ontario and Canadian financials, worked closely with the Ontario Government to improve their procurement contracts and participated in the birth of ITAC Health. He continues to serve on ITAC Ontario’s Board Executive. John has served on the Board of a number of other community and industry associations. Steve Proctor is responsible for ensuring ITWC lives up to its commitment to be the Content Experts serving the IT industry. Working with sales, a small team of writers, and the company’s award-winning creative team, Proctor oversees and guarantees the execution of marketing blogs, research white papers, taskforce reports, videos, and podcasts. He serves as point on content development and creative execution on ITWC’s seven flagship events and multiple custom events. As part of the executive team, he provides advice on branding, staffing, strategy and publicity. He is in charge of partnerships and community building. 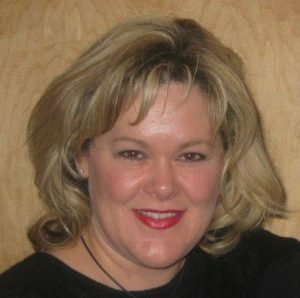 Prior to joining ITWC in 2016, Proctor served as Communications Manager with Information Technology Association of Canada (ITAC), the Atlantic Provinces Economic Council (APEC) and Saint Mary’s University in Halifax. Prior to his communications career, Proctor spent 25 years as a journalist, including 10 as Business Editor with a major Canadian daily newspaper. As Vice President, Engineering and Business Development for Hydro One Telecom, Robert Agostino is responsible for all aspects of Engineering, Technology Development, Business Strategy and Corporate Development. His career experience includes leading the development and implementation of effective business solutions to drive business transformation. Robert is a collaborative leader, one who excels at developing and implementing operational frameworks, building high performing teams, developing strong relationships and building trust both internally and with customers. Hydro One Telecom delivers high capacity telecommunications solutions to service providers, small and medium businesses, enterprises, wholesalers and public sector organizations via an expansive fiber-optic network in Ontario extending into Montreal and the United States. Hydro One Telecom provides high-speed data networking services for Network-to-Network, Cloud-to-Cloud, Network-to-Cloud and Data Centre-to-Data Centre business requirements and is a subsidiary of Hydro One Limited. 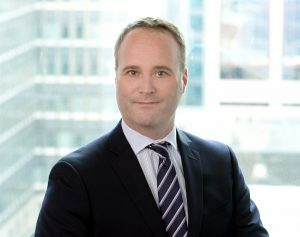 John Bauer is a Director in PwC’s Ontario Public Sector Practice with over 15 years of project and program management experience, including a number of large-scale public sector change initiatives and technology projects. John helps public sector organizations create new service delivery models, establish new digital service channels, and modernize their operations to deliver services with a customer-centric view. John is passionate about working with his clients to transform public services, enable digital government, and lead transformational initiatives. Before John began consulting to government in 2007, he spent 5 years in the Ontario Public Service, working on some of the earliest Ontario Government electronic service delivery initiatives. During his time within the OPS, he was also part of the team that developed the OPS’s Integrated Project Management Framework and Methodology, along with a series of related training courses and materials. 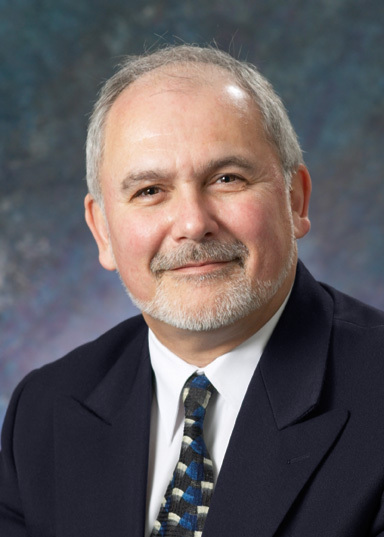 John is a certified Project Management Professional (PMP), and has an International Master of Business Administration (IMBA) from the Schulich School of Business. 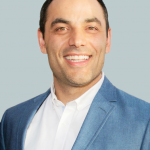 Michael Di Verdi is responsible TELUS’ Ontario Public Sector business including the Government of Ontario, ministries, agencies, provincial utilities, municipalities and health care customers. With over 16 years of Telecommunications experience, Michael leads a team of account professionals focused on putting their customers first by helping those customers transform their business through digital initiatives that support their business goals. Michael and his team endeavour to simplify the complex delivery of IT solutions spanning across Data Networking, IT Security, Unified Communications, Cloud Services, Internet of Things and Mobility solutions. 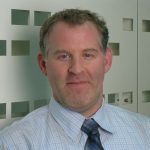 Prior to becoming the Director of the Ontario Public Sector team, Michael served as Account Executive for 10 years supporting key public sector initiatives including the delivery of network infrastructure and IT security services for the provincial government enabling better outcomes for the citizens of Ontario; and the IT security and cloud services needed to empower the PRESTO farecard public transportation system. Michael is active in the community volunteering to support numerous charitable initiatives and committed to TELUS Days of Giving campaigns aimed to drive positive social outcomes in the areas of health, education and the environment. 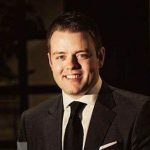 Jeremy Erlick is a business executive with over 15 years of sales and business development experience in the Information Technology industry. 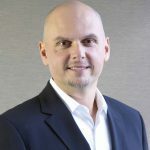 He currently leads the entire Central Region sales organization at Compugen Inc., a large and national Canadian based IT solution provider – that over many years has developed a prominent market share position in the government sector in Ontario. Previously Jeremy has held a number of roles in direct sales and sales management. From 1999-2005 he was a sales executive dedicated to the government sector where he was instrumental in building and growing Compugen’s business and relationship with the Ontario government and various other broader public sector verticals. Following this between 2006-2012 he ran Compugen’s Central Region government branch, over which time the business doubled in size. 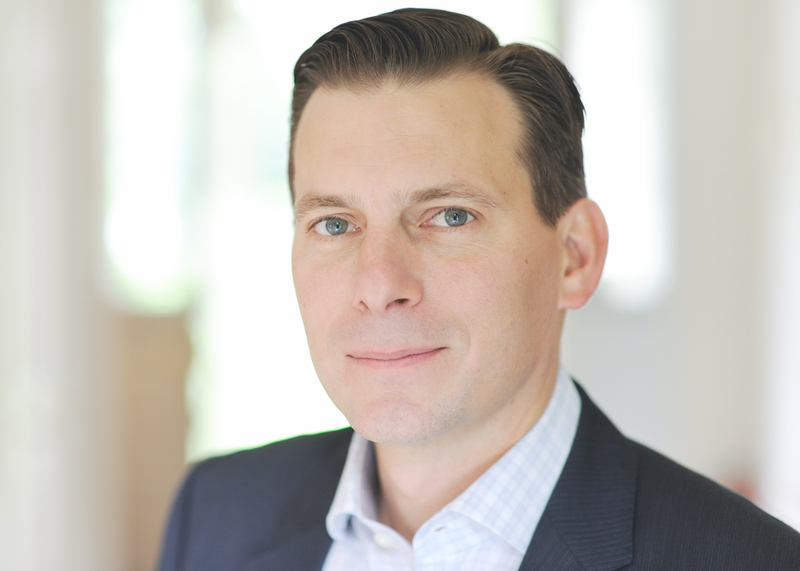 Jeremy has a deep understanding of the government sector including unique business challenges, policies, procurement guidelines, operations and the history of organizational transformations in various government verticals. Because of the nature of Compugen’s business model, he also understands the various government sales and marketing strategies and operational models of the large IT manufacturers and publishers. Jeremy holds a B.A. degree in Sociology from York University. 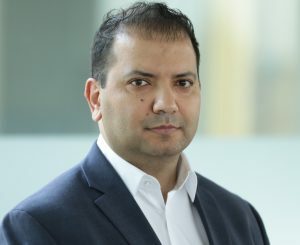 Mustafa Ebadi is Chief Operating Officer at SOTI where he oversees strategy, innovation, planning, and execution of SOTI’s Global Customer Experience, HR, Operations and IT Portfolios. Mustafa leverages more than 15 years of experience leading strategy and innovation in management & leadership to help SOTI customers & employees build or rebuild departments through people management, process re-engineering and effective technology adoption. Prior to joining SOTI, Mustafa held IT leadership roles at Softchoice and Sitel. Mustafa holds a B.S. in Software Engineering from the University of Ottawa. Dennis Hofmann leads an organization that delivers innovative and practical technology solutions to Dell Canada’s K-12, Higher Education, Provincial, and Municipal government customers in Ontario, Manitoba, and Saskatchewan. In his 15 years at Dell, Dennis has held various roles within the sales organization, working with customers across Ontario and western Canada. His team continues to make a strong impact on the way their clients serve their students, communities, and citizens. Prior to his tenure at Dell, Dennis worked in the telecommunications industry. He earned his Honors Bachelor of Arts with Administration from Wilfrid Laurier University. 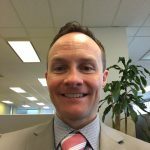 Sean Pinney is a Director at CGI, based out of Toronto responsible for building relationships within the Ontario provincial government and municipalities. He represents all of CGI’s offerings including consulting, system integration, IP and managed services to his Public Sector clients. 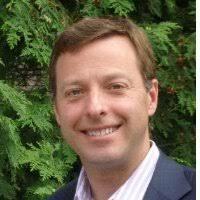 Sean has been in the IT industry for 20 years working in various roles with CGI, IBM, xwave and Thoughtcorp. He also led the B2B commercial division of Pelmorex Media (The Weather Network) which was acquired by MeteoGroup and subsequently held the position of General Manager for the North American division. During his career Sean’s focus has continued to be on assisting the Public Sector maximize the value of IT to achieve program goals and improve services for their citizens. Craig Taylor is a Channel Client Executive with Lenovo who has over 19 years of experience of solution sales in the IT Industry. He has held various leadership roles at Lenovo and IBM with current and past focus on the Enterprise, Midmarket and Public Sectors (including national, provincial, and state/local government) in Canada and the United States. 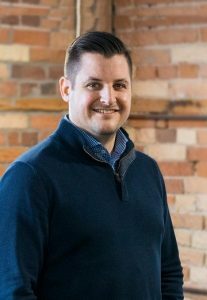 Craig is highly motivated and dedicated to provide the best possible solutions, service and support to customers through direct customer relationships and extensive channel engagements across North America. His commitment to clients and channel partners is evident by the long and established business relationships that have been created and managed. Craig was educated at Simon Fraser University in British Columbia, Canada and holds an undergraduate degree in Business Administration. He is actively involved in his community and volunteers for several non-profit organizations including the Abilities Centre in Ontario, Canada. As Director, Ontario Public Sector Team, Graham leads the team responsible for building relationships with the Ontario Provincial Government, Municipalities, Cities, and Health Care markets. Graham represents all lines of business within the Ontario Public Sector, including consulting, cloud-based services and software solutions. 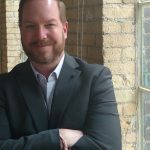 With more than 20 years of experience within the IT industry, Graham has held a number of positions within Digital Equipment, Compaq Computer Inc., E&Y, Amdocs and Microsoft. Throughout his career, Graham has demonstrated his passion for helping clients and partners be successful in maximizing the value for solutions they are either delivering or implementing. 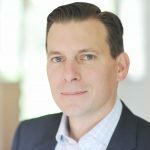 He is also a keen supporter of transformational change, helping organizations realize their digital transformation strategies to drive efficiencies and growth, and creates environments that attract top talent. Regan Watts is a skilled cross-functional executive with more than 14 years of public and private sector experience in strategy, marketing, communications, and public/corporate/regulatory affairs across a variety of sectors including technology, financial services, capital markets, healthcare, infrastructure, transportation, construction, and industrial manufacturing. Regan currently leads IBM Canada’s government and regulatory affairs activities at the federal, provincial, and municipal levels. Prior to joining IBM, Regan served on the Executive Committee of Lafarge Canada Inc. In this role, he led corporate communications, public and regulatory affairs including oversight for environment, and corporate social responsibility. Regan had an extensive career in public service, serving in leadership roles in the Government of Canada across four federal departments. From 2006 – 2012, he served at Finance Canada, Transport Canada, Health Canada, and Foreign Affairs and International Trade Canada. In 2012, Regan was awarded Queen Elizabeth’s Diamond Jubilee Medal for his public service to Canada. An active volunteer, he serves on the Advisory Council for Earth Rangers, Canada’s largest conservation organization dedicated to educating children and families about biodiversity and empowering them to become directly involved in protecting animals and their habitats. A resident of Toronto, Regan holds an MBA from the Ivey Business School at Western. 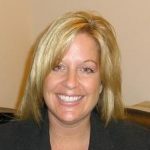 Renee Lalonde is a business executive with 20+ years’ experience in sales and business development in Information Technology. 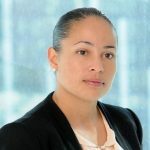 She has held several positions within CA Technologies including Vice-President Customer Adoption & Portfolio Management, Regional Sales Director and Customer Relations. She accepted her current appointment to lead the Canadian organization in April 2012. She leads the company’s sales and operations, including strategic planning, business development, marketing, customer relations and channel partnerships for both public and private sectors. She is an executive with strong leadership and communication skills who is passionate about having a direct and positive impact on the business. Results oriented and focused on building strong performing teams through an energized culture in which customers’ transformational needs and satisfaction are exceeded and always at the forefront of the business she leads. Ian is a management consulting executive lead at Deloitte. 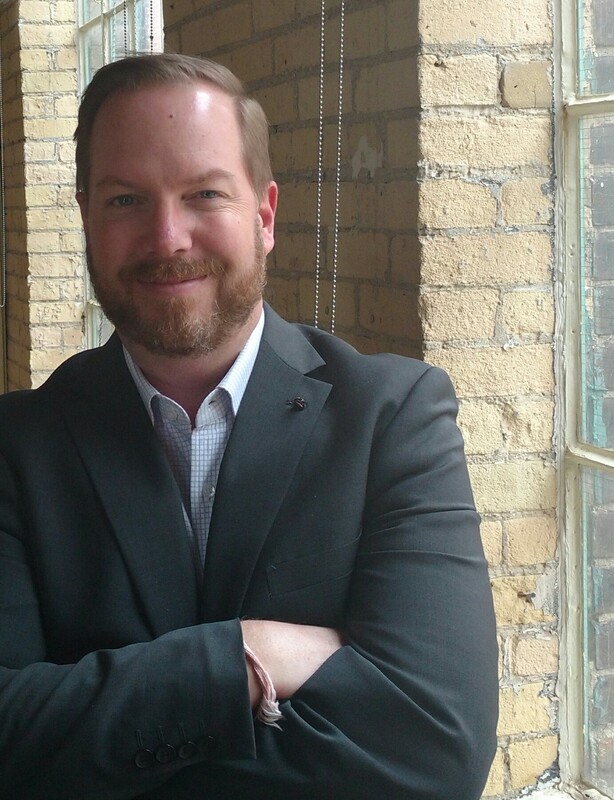 Based in Toronto, Ian’s professional experience has been on business and technology transformations with a focus on serving public sector clients within Ontario and beyond. Ian’s focus has been on business/IT consulting, strategy, digital, technology and operations and he has held various leadership roles as account executive, project leadership, delivery lead, transformation lead and architect. Ian brings his experience of working clients as well as technology and delivery partners in public industries including transportation, transit, payments, infrastructure, healthcare, regulation agencies and client service delivery.